Philips has announced its new mobile phone named as C600, which features 2.4-inch touch-sensitive display with handwriting recognition of the input of the text, 1.3 megapixel camera, MP3 player and microSD slot for memory cards. 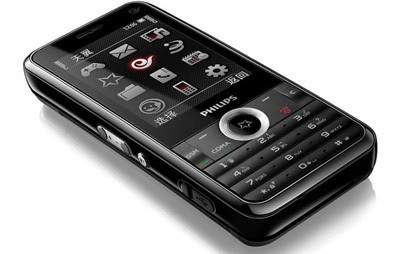 The Philips C600 is a dual-mode mobile phone that support Tri-band GSM networks (900/1800/1900 MHz), and CDMA network (800 MHz). Apart from that, the C600 has two call keys, one for GSM and one for CDMA and support up to 2GB microSD memory card to augment the pitiful 2.5MB internal memory. The new Philips C600 mobile phone measures 115 x 54.2 x 16.6 mm and weighs only 118g but the price and launched date have yet to be announced.